Once there was a man on a long journey who came to a river. He said to himself: “This side of the river is very difficult and dangerous to walk on, and the other side seems easier and safer, but how shall I get across?” So he built a raft out of branches and reeds and safely crossed the river. Then he thought to himself: “This raft has been very useful to me in crossing the river; I will not abandon it to rot on the bank, but will carry it along with me.” And thus he voluntarily assumed an unnecessary burden. Can this man be called a wise man? I always got on my mom’s case for not holding on to enough of her past. Other than a couple of photo albums, my mom has nothing that indicates where she came from and who she was before I knew her as mom. Being a mini family historian, all I crave are remnants from everyone’s past. I devour old photo albums, poems my dad’s mother wrote, and stories passed down through aunts and uncles. I want to know where we all come from. But now I undersand my mom. 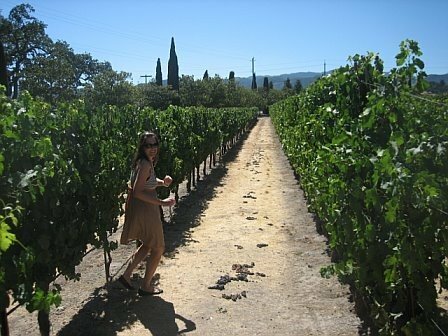 She had to make numerous decisions throughout her years about what to take with her and what to part with. We simply cannot hold onto everything if we desire to keep moving through life. I guess someday I’m hoping that someone in my family in a future generation will care about where he or she comes from and appreciate the things I kept as markers of who I was, the places I’ve gone, and the people I’ve met along the way. Somehow, these things I saved might just provide answers to who they are and why. Or maybe a part of me is afraid of the finality of death. In keeping a paper trail, I’m immortalizing myself. 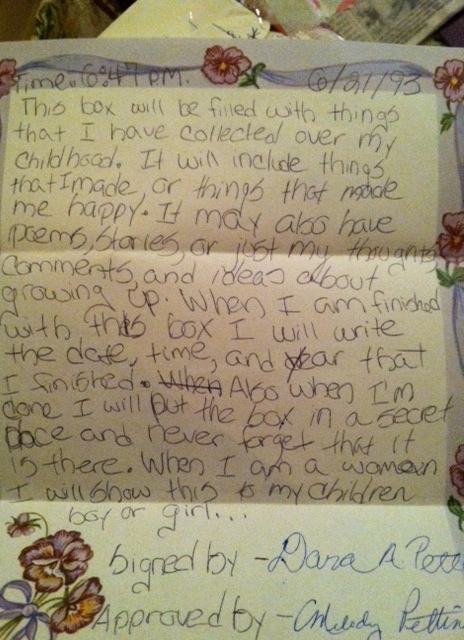 Another part of me believes that if I keep these tangible memories I will never forget who I am and how I’ve evolved. There’s something about reading through old letters especially that reminds you how much you’ve been loved and how despite all the bad times, the overall picture of your life is beautiful. They are reminders of better days. One thing is clear: I am holding on to life. Me, who once upon a time just wanted to get off the train, is building a fortress of hope with materials from my past. The things I want to remember. The things I could easily forget. Is this wise? 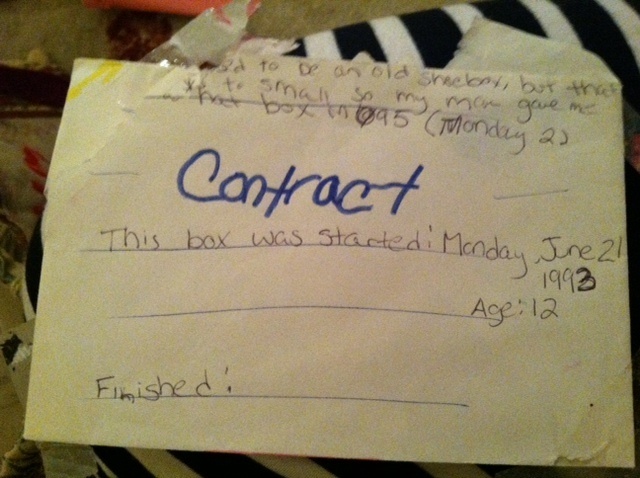 A contract I wrote at 12 promising to save all my memories. I tend to collect mementos and reminders of who I was, where I was and whom I’ve met, so I’m not the right person to ask, because I have a hard time letting go. We moved a lot when I was a young child and I think it makes me get even more attached to things that remind me of joyous times. Regardless, this is brilliant: “We simply cannot hold onto everything if we desire to keep moving through life.” I hope I figure out what to keep and what to let go. I think you will figure it out, simply because you won’t be able to take everything and for some reason, that makes us focus on what needs to be done. BTW, I am so happy you are holding on to life. The world is a better place because you didn’t get off the train. You’ve hit the ball out the park! Ineebdirlc! Thank you so much Jeannette. I adore you.